Just like that, the S&P 500 is back above the 2800 pivot level that EVERYONE AND THEIR MOTHER has been focused on. You would think that the selloff would be deeper than this. That all those people who bought from the beginning of the year would take profits. That somehow the yield curve inversion would lead to a market crash. It just hasn't been in the cards this month. Here's how I know that all these market dips have been incredibly benign. During the entire month of March, the VIX futures market has been in contango. That means the near term VIX future has a lower price than the next term VIX future. This is a normal market environment. If it were flipped, it's called backwardation... and the last time backwardation was sustained was, you guessed it, the market correction last quarter. Every time the market has seen a decent selloff, the VIX futures market as a whole went higher, but the curve remained the same shape. Until this changes... until market breadth starts to pick up to the downside, it's reasonable to assume that market corrections will be rotational in nature. 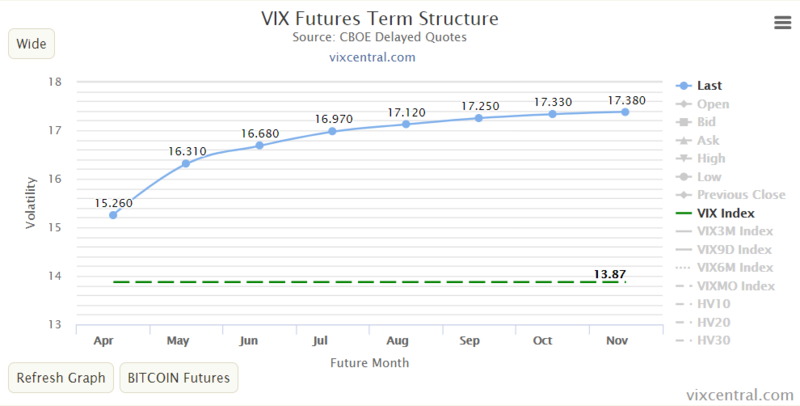 The asset most affected by the VIX futures curve is the VXXB. This is the "B Series" of the VXX. It has the same underlying as the VXX and trades the same way. Simply put, if volatility futures continue to stay in contango, then you can collect stable options cashflow trades in VXXB. I've created a VXX Trading System that gives you 4 Trading Systems to trade options on this volatility product. If you want a way to enhance your returns while keeping your risk low in the volatility market, this is a great fit. Order the VXX Trading System Today.